This limited-edition collection paints the iconic Reverso Tribute Enamel in a new light – here’s what to expect from the stunning new models and why there are only 24 of them to spare. The Reverso has always been a versatile piece among Jaeger-LeCoultre’s creations. The Swiss watchmaker’s latest special edition collection takes it one step further with the unveiling of 3 new models, each revealing captivating artwork done in fine Grand Feu enamel on both sides of the watch. On the back of each watch lies the finely enamelled miniature artwork of 3 master artisans, each artist chosen to represent the iconic techniques of pointillism, ink wash painting, and Japanese woodblock printing. The front of each model displays a superb hand-guillochéd dial covered in translucent Grand Feu enamel, coloured to harmonise with the incredibly detailed artwork on the watch’s caseback. The new Reverso Tribute Enamel models boasts a white gold case made especially to carry the miniature enamel designs by artists Georges Seurat, Xu Beihong and Katsushika Hokusa. 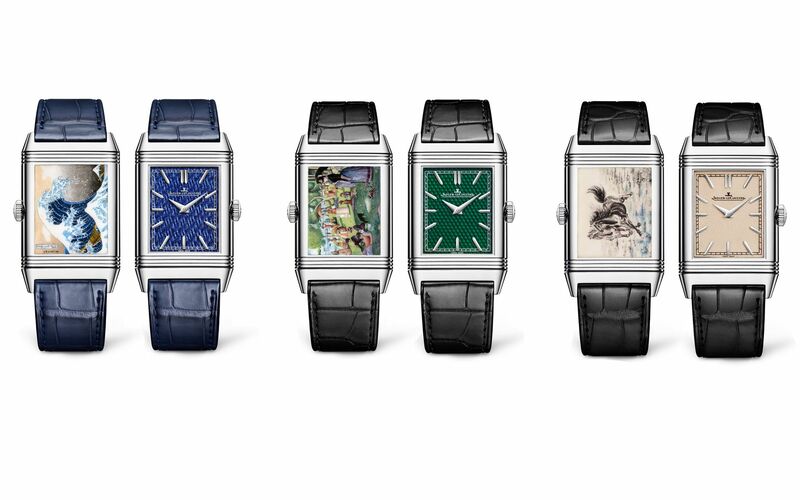 It’s no shock that only eight pieces of each model have been made of this exquisite collection – it took a total of 70 hours for Jaeger-LeCoultre’s artisan guillocheurs to achieve the pointillist effect on the Reverso Tribute Enamel hosting Georges Seurat's A Sunday Afternoon on the Island of La Grande Jatte. The three new pieces are a testament to the high level of craftsmanship at the Grand Maison’s Rare Handcrafts ‘Métiers Rares’ workshop.